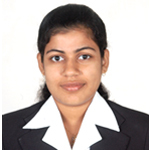 Anupama, A is currently pursuing PGDM-Apparel management,from Sardar Vallabhbhai Patel International School of Textile and Management, Coimbatore(under indian textile ministry). Her passion is to work for the development of traditional indian textiles,crafts and handlooms. She recently completed a project on AYURVEDIC HEALING FABRIC at Handloom weavers development society,Balaramapuram.